Pre-packaged processed foods may be convenient, but if you seek to improve your health, cooking from scratch using fresh unprocessed ingredients is more or less non-negotiable. Once you’re eating non-adulterated foods—foods that are as close to their natural state as possible—then basically everything you eat is a “superfood.” You need nutrients—all of them—and nutrients are found in abundance in fresh, raw foods. Still, suggestions of specific items can be helpful to steer you in the right direction, so to help you get started, I’ve compiled two lists: one consisting of seven every-day nutritional powerhouses, plus another one with seven superfoods you may never have heard of—because eating healthy doesn’t have to be monotonously boring! Homemade bone broth is as “staple” as it gets if you want to eat healthier. It’s also a really cost effective way to improve your diet, as you can make use of leftover carcass bones that would otherwise be thrown away. Bone broth helps “heal and seal” your gut, which is so important for optimal health and disease prevention, and it’s also excellent for speeding up your recovery time when you’re feeling under the weather. It contains plenty of healthy fat, along with important nutrients like calcium, magnesium, phosphorus, silicon, sulfur, and trace minerals, as well as the broken down material from cartilage and tendons, including chondroitin sulphates and glucosamine. Another easy and inexpensive way to optimize your nutrition is to add sprouted seeds to your vegetable juice and/or salad. They can easily be grown in your own kitchen, year-round, and are a great way to dip your toes in the water if you’re considering growing your own food. Sunflower seeds are one of my personal favorites, both in terms of flavor and nutritional punch. Once sunflower seeds are sprouted, their protein, vitamin, and mineral content will typically provide you with 30 times the nutrient content of organic vegetables! Sprouts in general also contain valuable enzymes—up to 100 times more enzymes than raw fruits and vegetables—that allow your body to absorb and use the nutrients of other foods you eat. We have kits to grow spouts in our store. Sprouts-as-medicine.com1 is another good source for things relating to sprouts: their health benefits, recipes, and how to grow your own. Cultured or fermented foods have a very long history in virtually all native diets, and have always been highly prized for their health benefits. The culturing process produces beneficial microbes that are extremely important for your health as they help balance your intestinal flora, thereby boosting overall immune function. Fermented foods are also excellent chelators and detox agents that can help rid your body of a wide variety of toxins, including heavy metals. Just one quarter to one half cup of fermented food, eaten with one to three meals per day, can have a dramatically beneficial impact on your health. Fermenting your own vegetables is a lot simpler than you might think, and is the most inexpensive route. Wild fermentation is when you allow whatever is on the vegetable to naturally take hold and culture the food. Inoculating the food using a starter culture speeds up the fermentation process, however. For instructions, and a more in-depth discussion of the health benefits of fermented veggies, please see my previous interview with Caroline Barringer. Avocados are an excellent source of healthy raw fat, which most Americans are seriously deficient in. They also provide close to 20 essential health-boosting nutrients, including: fiber, potassium, vitamin E, B-vitamins, and folic acid. In addition, avocados enable your body to more efficiently absorb fat-soluble nutrients, such as alpha- and beta-carotene and lutein, in other foods eaten in conjunction with it. Besides eating them raw, you can use avocado as fat substitute in recipes calling for butter or other oils. Another boon of avocados—they’re one of the safest fruits you can buy conventionally-grown, so you don’t need to spend more for organic ones. Their thick skin protects the inner fruit from pesticides. Besides being excellent for your thyroid and your metabolism, coconut oil is rich in lauric acid, which is capable of destroying a number of different viruses, including influenza and measles. Its medium chain fatty acids (MCTs) also impart a number of health benefits, including raising your body’s metabolism. It’s also the ideal choice for all types of cooking—in fact, it’s the only oil stable enough to resist mild heat-induced damage. So, whenever you need an oil to cook or bake with, use coconut oil instead of butter, olive oil, vegetable oil, margarine, or any other type of oil called for in recipes. Just make sure you choose an organic coconut oil that is unrefined, unbleached, made without heat processing or chemicals, and does not contain genetically engineered ingredients. As an added boon, coconut oil has countless other uses besides cooking and eating; from topical beauty applications to first aid treatments, to general household cleaning. Herbs do more than add flavor; they’re also densely packed with valuable nutrients, and many are well-known for having medicinal qualities as well. Turmeric is one example of a spice with potent and scientifically proven medicinal benefits—against cancer no less. Another less dramatic example is plain black pepper, which has been shown to increase the bioavailability of just about all other foods. As a general rule, you really can’t go wrong when using herbs and spices and I recommend allowing your taste buds to dictate your choices when cooking. Limequat Limequats are a hybrid cross between lime and kumquat, the latter of which is a sweet but tangy citrus with an edible peel. Limequats are in season between July and November, and contain plenty of fiber and vitamin C. Like the kumquat, they have an edible rind, so it’s a good choice for spicing up dishes with a citrusy flavor. 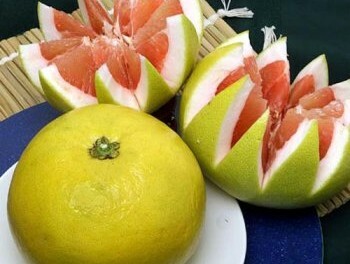 Pomelo The pomelo is yet another member of the citrus family that is typically overlooked. They look a bit like over-sized grapefruits, and the taste is similar too, although pomelos tend to be sweeter. To eat, remove the thick rind and membrane from each “slice.” Just like other citrus fruits, you can eat it as is, or add to salad, salsa, marinades, or fresh juice, just to give you a few ideas. Hubbard squash Hubbard squash3 is in season during the winter, when it can be a welcome source of densely packed nutrients, including vitamins A, C, E and K, potassium, folic acid, iron, lutein, manganese, magnesium, phosphorus, zeaxanthin, and plant-based omega-3. The featured article suggests pairing roasted Hubbard squash with kale, or adding it to stew. Celeriac Celeriac, aka turnip-rooted celery or celery root, is a root vegetable with a taste that resembles conventional celery. You can eat it either raw or cooked, and it’s high in vitamins B6, C, and K, along with potassium and magnesium. Time magazine suggests grating some onto salad, along with beets, apples, and walnuts for a flavorful kick. Teff Teff, a tiny North African cereal grass grain, has been a staple of traditional Ethiopian cooking for thousands of years. Naturally gluten-free, teff is rich in calcium, manganese, iron, fiber, protein, B vitamins, zinc, and all eight essential amino acids. It has a mild, nutty flavor that lends itself well to a variety of dishes, including stews, pilaf, and baked goods. You could also add it on top of your salad. Fenugreek Fenugreek is a curry-scented plant, the seeds of which have traditionally been valued for their medicinal uses,4 which include the treatment of digestive problems, upset stomach, constipation, and gastritis, and much more.Fresh fenugreek leaves can be eaten raw like a vegetable. You can also use them—either fresh or dried—to spice up various dishes. Fresh fenugreek leaves are often used in Indian curries. Fenugreek seeds are rich in minerals like iron, potassium, calcium, fiber, and choline, and can be sprouted for an added health kick. Purslane Purslane is a lemon-flavored edible weed that is popular in both Greek and Mexican cooking. Some compare the taste to watercress or spinach. It’s rich in plant-based omega-3 fats, vitamins C and E, and pectin. Young leaves and tender stem tips are generally preferred in terms of flavor and crunch, and make a tasty addition to salads and sandwiches. The need for speed and convenience has resulted in a plethora of processed pre-packaged foods, but while generally less expensive, a processed food diet will typically lead to a downturn in health. Then when years of bad food choices take their toll on health, people want to feel better by tomorrow. They want to be at their ideal weight by next week. And as luck would have it, there is an endless supply of drugs and fake foods available promising to do just that. Unfortunately, nearly all of these “magic pills” and diets can worsen your health even more in the long run. Ultimately, the simplest and most effective way to achieve good health and a long life is to focus on the nutrition you are putting in your body on a daily basis. Healthy foods not only provide you with life-giving nutrients and fuel for all your organs, they also help you keep an ideal weight. If you’re new to the idea of eating a diet based on whole foods, incorporating as many of the staples listed above as you can will get you off to a great start. 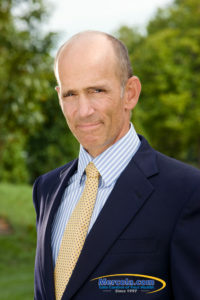 For even more advice on how to eat right by focusing your diet on whole, unprocessed superfoods, see my nutrition plan. Once you’ve got the basics covered, start exploring and expanding your repertoire. There are so many flavors and textures out there—the likes of which you’ll never come across in a microwave dinner! Ideally, opt for organic and/or locally grown foods whenever possible. The following organizations can help you locate organic and locally produced foods, including many of those discussed above. Local Harvest — This Website will help you find farmers’ markets, family farms, and other sources of sustainably grown food in your area where you can buy produce and grass-fed meats. Eat Wild: With more than 1,400 pasture-based farms, Eatwild’s Directory of Farms is one of the most comprehensive sources for pastured foods in the United States and Canada.